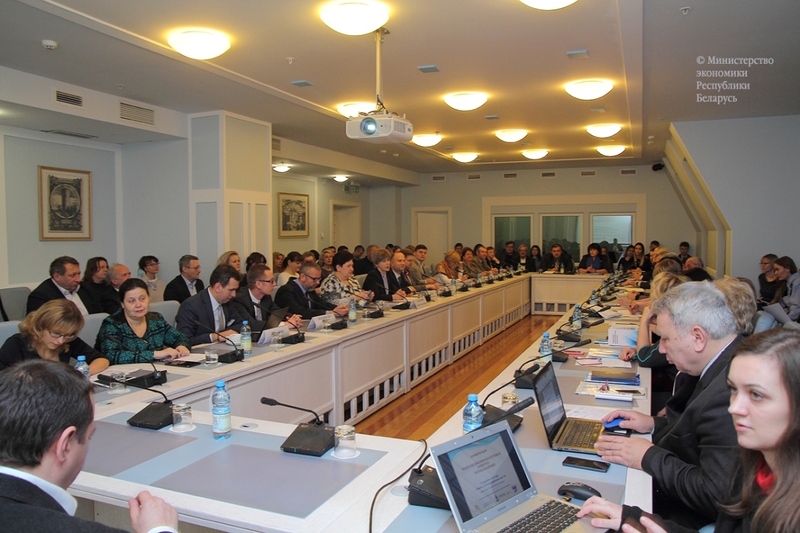 On December 12, 2018, a conference “Clusters Development in Belarus: a Look into the Future” was held in Minsk, Belarus. It was organized by the Business Union of Entrepreneurs and Employers named after Professor M. Kunyavsky with the support from the Ministry of Economy and the Council for Developing the Entrepreneurship (Belarus), as well as from the Ministry of Foreign Affairs of Poland as one of the activities of the project “Introducing the Cluster System in Belarus”. Launched in September 2018, this project is aimed at identifying cluster initiatives at local and regional level and raising awareness and building a capacity of their initiators to help them to transfer their idea in reality. The financial support to the project is provided by the Podlaska Regional Development Fund (Poland). The Conference examined current trends in cluster development based on European and domestic experience, the results of clusters operations in Poland, identified opportunities and challenges for creating clusters in Belarus, identified new cluster initiatives at regional and sectorial levels, and outlined possible directions for the implementation of pilot projects. The participants were representatives of business, science, education, technology parks, business incubators and associations, administrations of the free economic zones, as well as relevant ministries and international organizations. At the Conference, Prof. Lyudmila Sovik, member of the Council of the Innovative and Industrial Cluster in the Field of Biotechnologies and Green Economy (Pinsk, Brest Region, Belarus), one of the 6 clusters supported by EaP PLUS in 2016/2017 has explained the grant scheme and presented its outcomes for her cluster. She pointed out that implementation of the EaP PLUS pilot not just helped to expand cooperation with the partner, “North-South” Logistics and Transport Cluster (Gdansk, Poland), but also contributed in building the capacity of cluster initiators and members and legal set-up of the cluster that actually took place within the period of the pilot project lifetime. The grant scheme has caused an interest from the participants and, in particular, from the Podlaska Regional Development Fund (Poland), who came to Belarus to share its experience in cluster construction.